The winter time is fun with all of the holidays, but it also means dry skin. 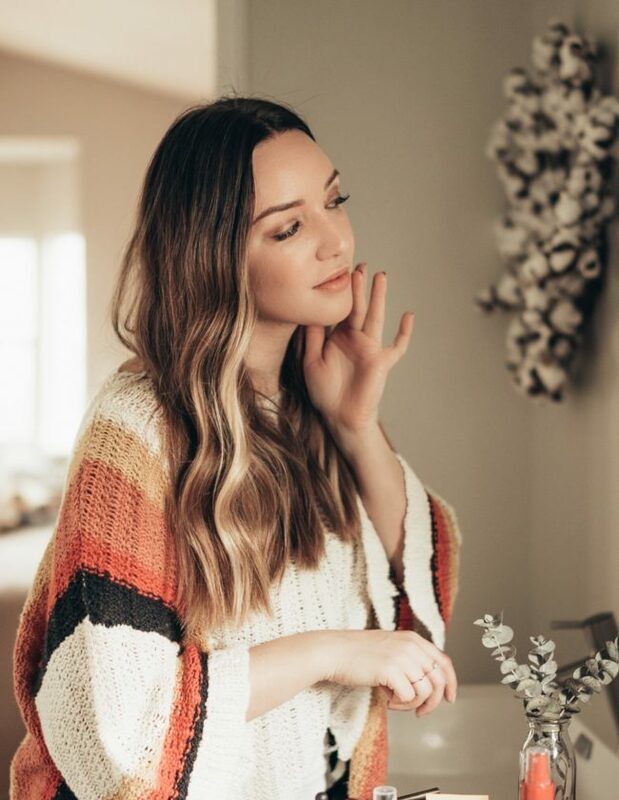 I recently learned this dry skin trick from a local nail salon and wanted to share it with you to try at home to keep you hands, cuticles, and nails hydrated this season. Check it out below! Fill your bowl with hot water (not too hot, make sure you let it cool before inserting your hands) and add your tea. You can keep the Pure Leaf tea in its cute little pyramid shaped bag if you’d like it contained, but I decided to soak the leaves loose. I picked a few flowers from the garden and added those too because, why not? 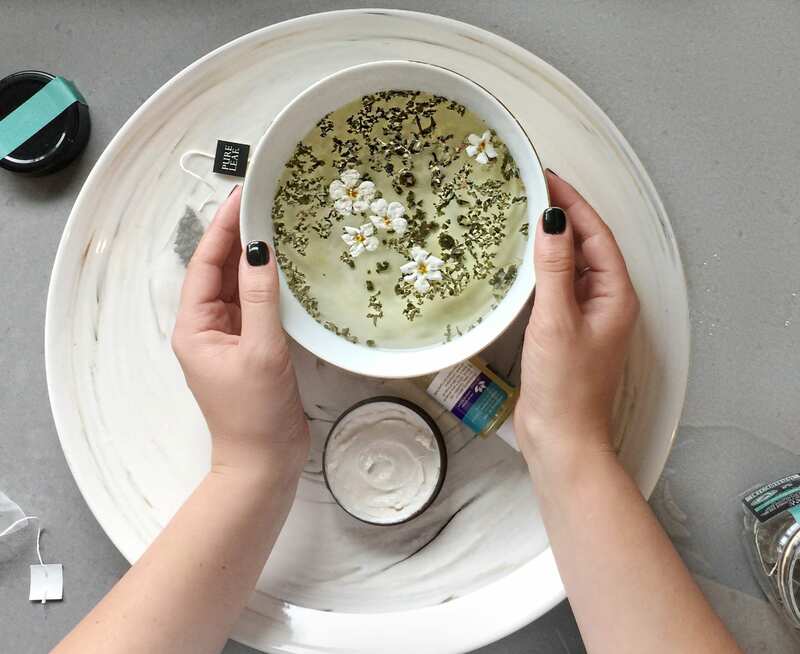 While the tea is steeping, pour yourself a cup too to sip on while enjoying this relaxing hand soak. I particularly like this Green Tea and Mint blend because it has the potent green tea antioxidants and the delicious mint flavor together. And how cute are the pyramid tea bags? Once your bowl of tea has steeped to your desired level, place your hands in the bowl and allow them to soak. 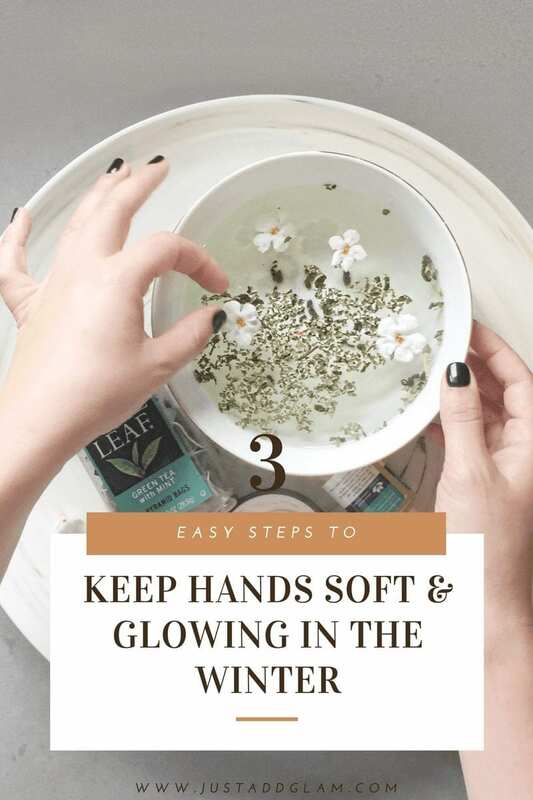 I also like to rub the Pure Leaf tea leaves on my hands to work the vitamins and caffeine into my skin. Caffeine has a plumping effect on the skin and can temporarily reduce the look of wrinkles on dry skin caused by dry air. I typically let my hands relax in the warm tea for about 5-10 minutes or longer based on what I’m doing. If you plan on giving yourself an at-home manicure following, my favorite is turn on a great show on Netflix and just zen out. Your hands will thank you! 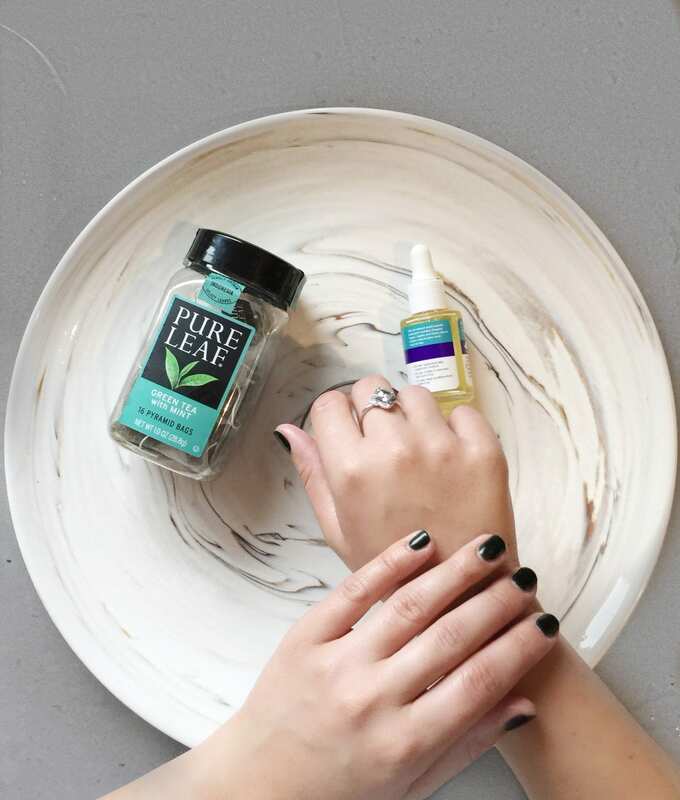 Once your soak is complete, pat your hands try and apply cuticle oil to your cuticles and nails. Rub it into your cuticles, nails, and fingers until it feels worked in. 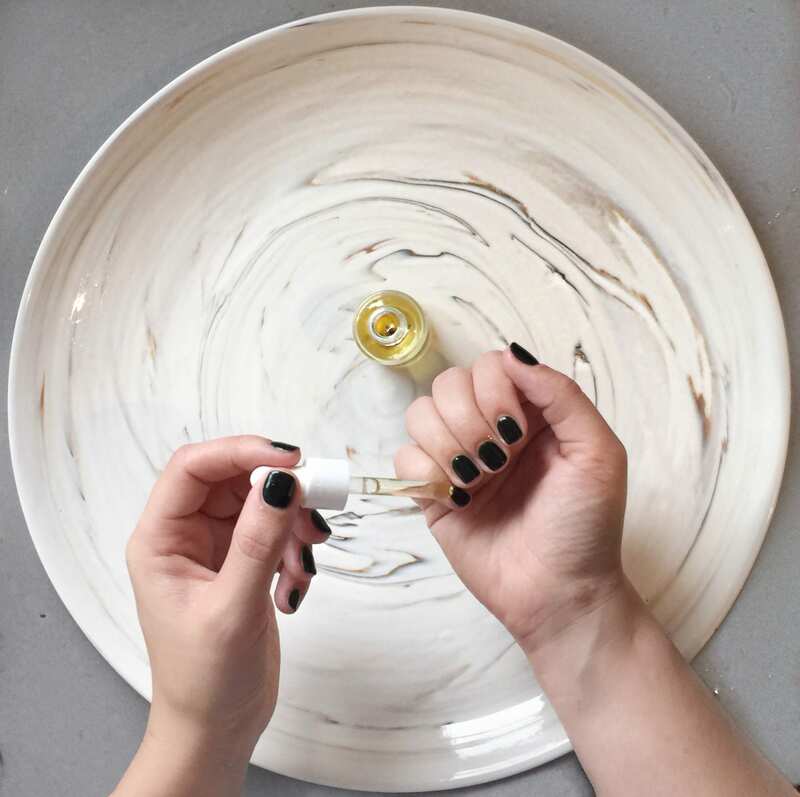 I’m a person where nail polish ALWAYS lifts off my nails (regular polish or gel) but ever since I’ve been working oil into my fingers, my nail polish hasn’t chipped once and my nails actually feel similar to acrylic nails in strength–it’s crazy! 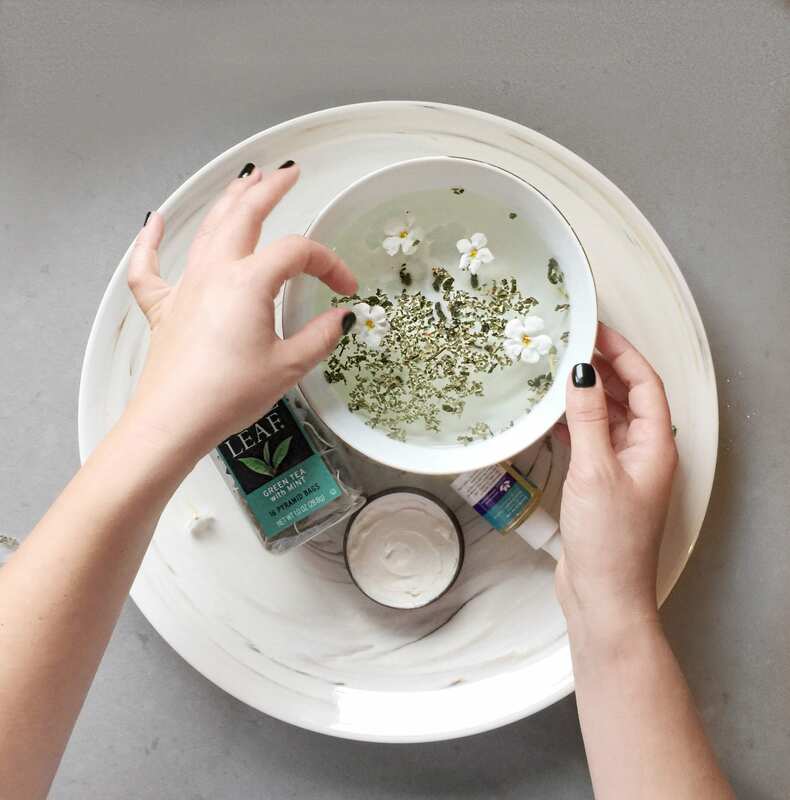 Not going to complain about it haha–definitely going to keep this tea soak routine going well beyond the winter months! 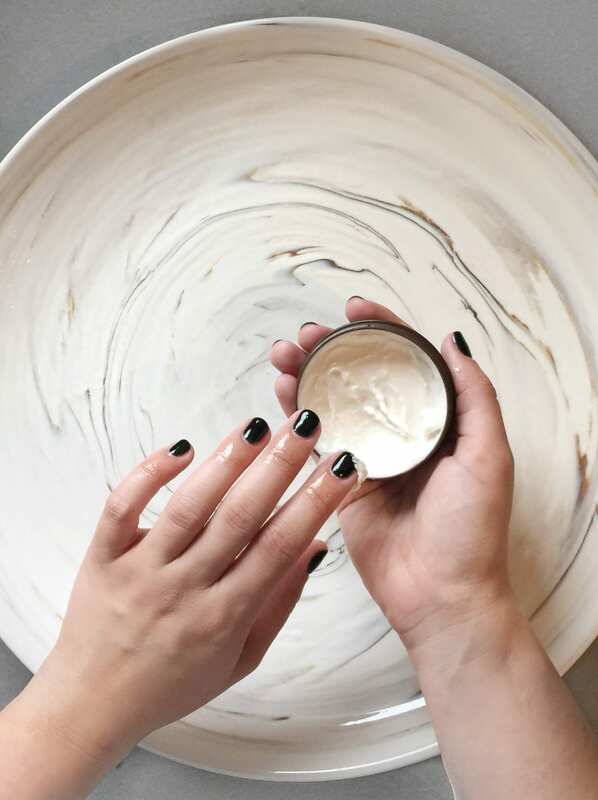 Next take your body butter or any rich lotion and apply liberally to nails, fingers, hands, and forearms. Give yourself a mini massage while you’re at it! 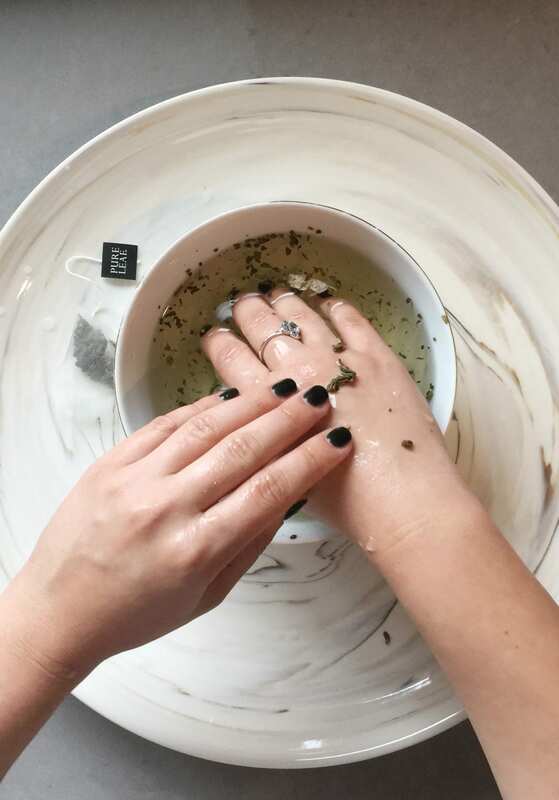 And there you have it, beautifully refreshed hands that are soft and glowing–even in the cold winter months! I’ve been repeating this treatment once a week and have already seen an ongoing benefit in my hands and skin. What are some of your favorite at-home beauty treatments to beat the cold winter weather? 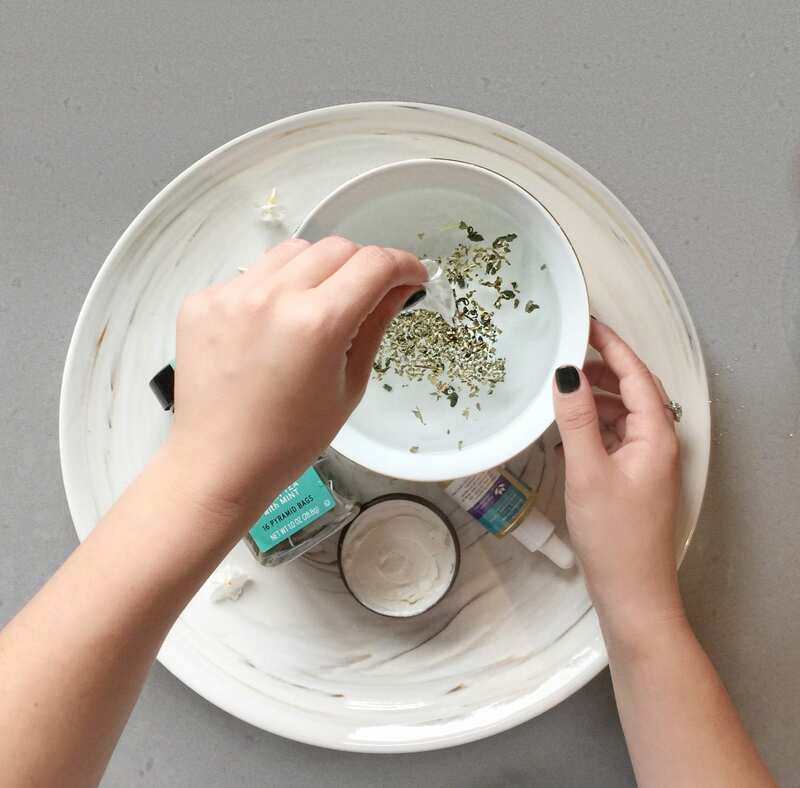 Want to try this tea-soak at home? 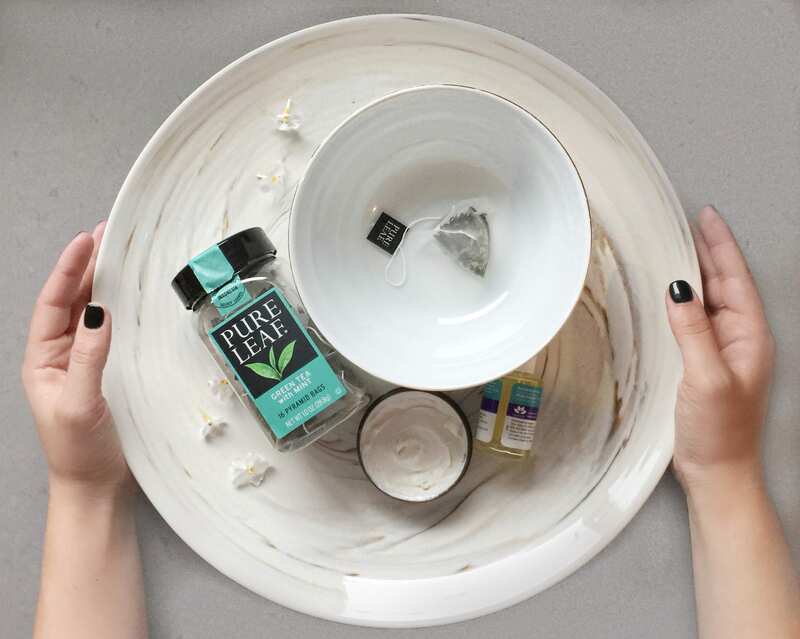 Head to your local VONS/Pavilions, Albertson’s, or Safeway to get $1 off Pure Leaf tea in any of their delicious flavors including Green Tea with Mint, Chai Tea, English Breakfast, or Gunpowder Green Tea! My skin is really dry. I think I’ll try your beauty treatment for my hands. Thanks for sharing. I actually just found your blog, What a beautiful post you have here. I’m jealous of the pictures! I have super dry skin myself, I think I’ll try your routine. See how it goes. However, let me ask you something. What body butter are you using? Do you have any ideas which brands are better? This one is from The Body Shop and it’s great! I highly recommend it.